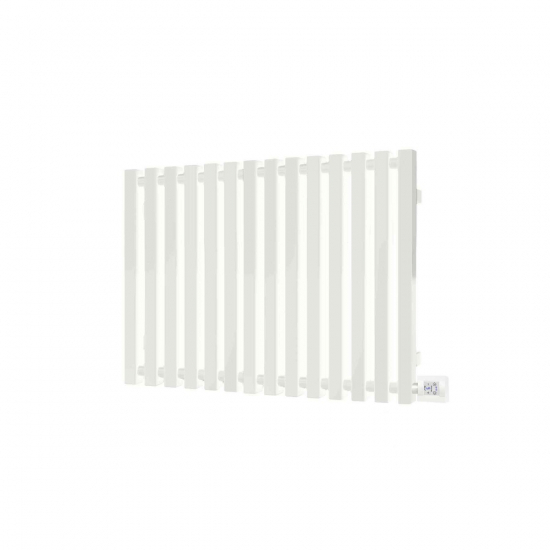 This 800w Terma Triga E horizontal designer electric radiator combines an elegant design with responsive Bluetooth control, creating a smart heating solution that excels in modern homes. Please note: The Terma Triga E is part of our range of bespoke, non-stocked products. Due to the fact it is custom made, this item is non-refundable unless damaged. Terma Triga Designer Electric Radiators blend unique heater design with advanced controls, providing a stylish and functional heating system. This 800w Triga is suitable for medium-sized spaces and comes finished in white, with anthracite and vertical versions also available.